- Am I Not Your Girl? Top 100 (Kent Music Report) peaks to 19 June 1988: Kent, David (1993). Australian Chart Book 1970–1992 (illustrated ed.). St Ives, N.S.W. : Australian Chart Book. p. 221. ISBN 0-646-11917-6. N.B. 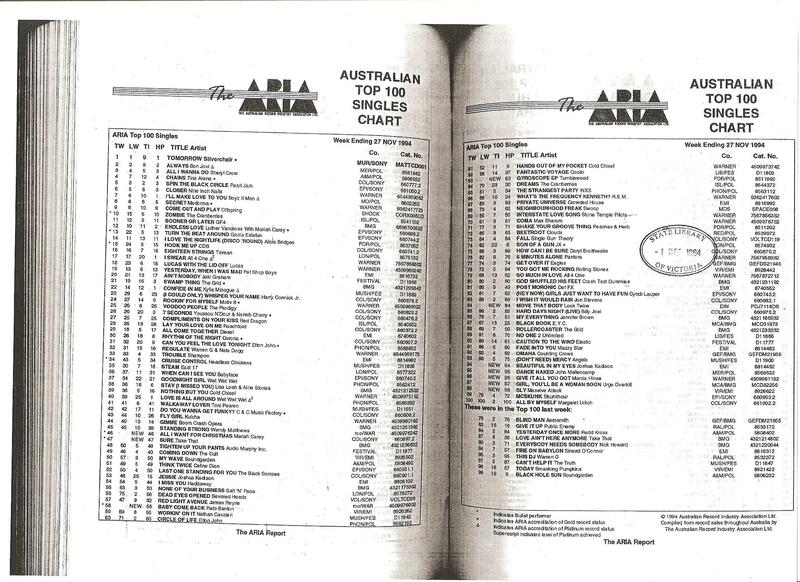 The Kent Report chart was licensed by ARIA from mid 1983 until 19 June 1988. Top 100 peaks: “Official Charts > Sinead O'Connor”. Official Charts Company. 2016年9月12日閲覧。 N.B. This site displays 'compressed' chart peaks (exclusion rules applied) for chart positions 76–100. Top 200 peaks from 1995 to 2010: “Chart Log UK 1994–2010: The O – Ozric Tentacles”. zobbel.de. 2016年9月12日閲覧。 N.B. This site displays 'uncompressed' chart peaks (no exclusion rules applied) for chart positions 76–200, between January 1995 and May 2001.